Slea Head, Dingle, County Kerry. 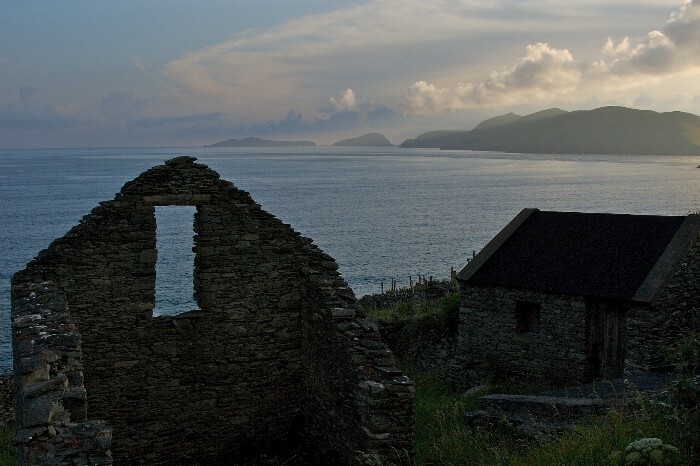 On leaving Dingle for a memorable trip round its extended peninsula, where one passes the most westerly points of Europe and the Blasket Islands, Slea Head is the ultimate reward when it comes to unforgettable coastal scenery. 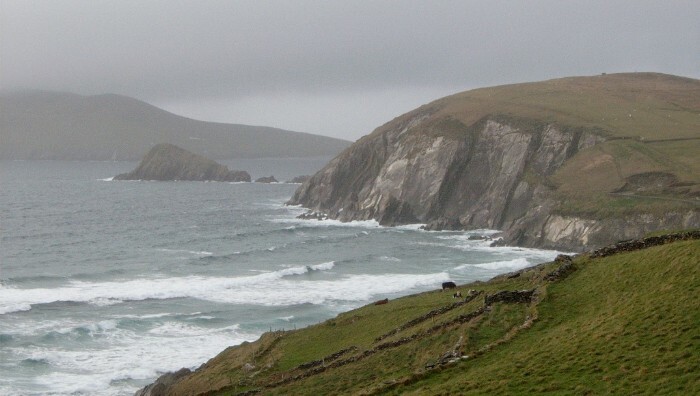 The drive out past Ventry and onward and upward along breathtaking scenes as the road peers down the cliffs to the surging ocean. The vista is a panoramic vastness of ocean and also looks south to the Iverragh Peninsula, the cliffs of which are equally majestic. Slea Head is a famous destination for tourists and adventurers alike, and has served as the epic backdrop for David Lean's film 'Ryan's Daughter' the scenes of which are phenomenally well captured and presented on 35mm film. There are ferries that run regularly throughout the day shipping people back and forth to The Blaskets as well as giving oceanic tours of the environs, where dolphin and whale watching has become a recent attraction.